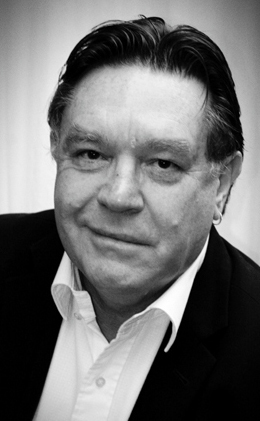 One of Australia’s finest political satirists, Bryan Dawe has enjoyed a long, successful career writing and performing on national radio, television, stage and film. Bryan received the Australian Centenary Medal in the 2001 Queen's New Year’s Honour List for ‘Services to the acting profession’. Best known for his collaboration with John Clarke on ABC television, the Clarke & Dawe segment is now in its 27th year, one of the longest running spots on Australian television. Bryan was a cast member and writer of the critically acclaimed and highly successful spoof of the Sydney Olympics, the ABC TV series The Games. He was also a writer on the first two series of Fast Forward on Channel 7. 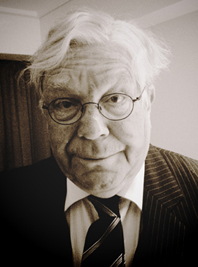 His film credits include the Australian hit comedy The Castle, The Honorable Wally Norman and Paul Cox’s Lust and Revenge. On stage and national ABC radio for over 20 years, Bryan has been writing and performing two much loved satirical characters: Sir Murray Rivers QC and Roly Parks with his Letters from Kalangadoo. Bryan received many awards for both characters, including a New York Radio award. An inveterate traveller, Bryan has written many travel articles and has conducted tours to Eastern Europe, Syria and Jordan which he has an ongoing love of, and commitment to. Bryan’s sharp wit and erudite observations, together with his flexibility, unique performances and talks, make him an excellent addition to any corporate event seeking an intelligent Keynote speaker. His talents lend themselves to conference speaker, after dinner entertainer, Master of Ceremonies, facilitator, or hypothetical writer and moderator. This is Australian story telling at its finest. A thoroughly entertaining forty five minutes by one of Australia’s finest humorists. Dealing with aging, facing your maker and trying to stay afloat in a world that bears no resemblance to the one Roly Parks grew up in. Roly’s not complaining about the changes, he’s just trying - like all of us - to make sense of it. Perfect for an audience not forty any more who enjoy a belly laugh and a bit of comfort in knowing that it's not just them that can't make sense of the world today. "Bryan in his character as Sir Murray Rivers QC was the most perfect fit you could find for a function at the Bar. He was of course hilarious but he was clever, insightful, professional and right on the mark. Our audience had all been at a conference all day and needed a laugh. That the humour was balanced with intelligence and relevance was perfect for our audience. Sir Murray Rivers is the product of a brilliant mind. He had our audience in fits of laughter from start to finish. The political barbs, the cleverly turned phrases and the perfect timing and delivery made for one of the most entertaining performances I have seen. Sir Murray is bombastic, outspoken, highly politically incorrect... and a complete and utter delight." "Bryan's Sir Murray Rivers QC act was just as funny as the first time I saw it. He was very well received by the guests at the CMC Chamber Mayoral Ball in Hervey Bay." "A masterful performance... The evening was enjoyed by all, with lots of comments on the skill and humour of Bryan." "Bryan was certainly the right choice of speaker for our business forum. We have received extremely positive feedback from our attending guests on Sir Murray River’s appearance, rated very highly. Sir Murray River certainly captured the essence of our event and delivered a very well research performance that hit the spot with our Executives and guests." "Bryan was fantastic and really hit the right note with the audience. He tapped into the upcoming federal election extremely well and also engaged with the audience. The feedback forms we have received suggest it was a very successful evening for all."